We use accelerated intensive therapy to foster complete healing from problematic eating disordered behavior. Accelerated Intensives are for those whose life circumstances or chronic nature of symptoms deem weekly therapy or residential treatment options ineffective. Our Intensives are led by a team of professionals working in a highly collaborative and strategic manner. They are designed to overcome impediments and accomplish therapeutic goals as quickly, thoroughly and economically as possible. At InterAct, an Accelerated Intensive typically consists of twenty to fifty hours of individually-tailored therapy spread over several days. Such a concentrated intervention causes minimal disruption to family life, professional obligations, and daily responsibilities, and fosters rapid stabilization of personal or interpersonal distress. 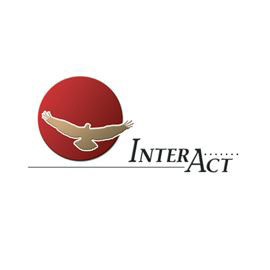 InterAct staff can conduct Intensives independently or in conjunction with a client’s existing treatment team. We collaborate with private therapists, religious organizations, partial hospitalization programs, inpatient therapists, and independent outpatient practitioners to design a therapeutic experience that will complement the client’s existing therapy program. At InterAct, we use sound psychological concepts that embody the core principles of Biblical truth. We believe the ethics, values and healthy life balance promoted in the Judeo-Christian Scriptures are a model for mental health and abundant life. We also understand that many who have been battered and abused by life have not experienced God as a loving father or present help in trouble. We therefore invite the client to heal from past wounds, and help them separate perpetrators from the character of God, in order to objectively address the need for healthy spirituality in the recovery process. Accelerated Intensives are conducted just outside Rochester, NY at InterAct Counseling Center Penfield, NY and at Healing Hills, our 125-acre horse farm in Palmyra. This is a non-residential setting. Accommodation options include a nearby bed & breakfast, hotel, and motels. InterAct provides assistance in finding a choice that will suit the client’s budget and preferences. Accelerated Intensives employ state-of-the-art experiential therapies which have been found highly effective in facilitating change and personal growth. Specific therapies include: Sensorimotor Psychotherapy, Eye Movement Desensitization Reprocessing (EMDR), Auricular Acupuncture, Art/Play Therapy, and Equine-assisted Psychotherapy and learning, as well as traditional therapeutic modalities. Particularly targeted are trauma-repetitive patterns from childhood which may adversely impact one’s performance, gratification, and achievement. Our trained staff take into account the client’s neuro-affective development and interpersonal neuro-biological patterns to tailor experiences to accomplish attachment repair, autonomic nervous system regulation, and the resolution of structural dissociation. As a result, clients are able to triumph over obstacles that had previously been considered intractable. We also handle Personality Disorders and Addictions.